Can you divide this figure into 4 equal parts? 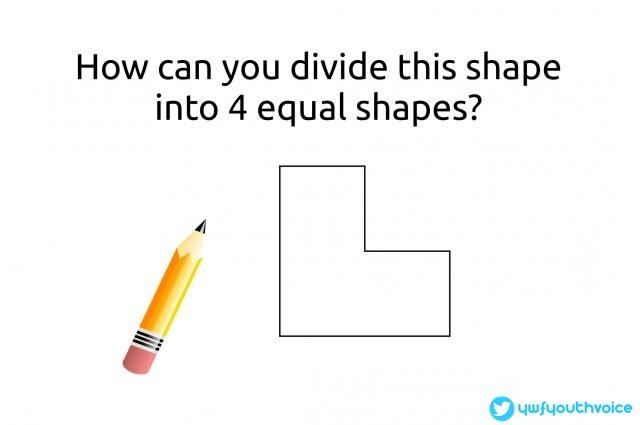 Can you divide this simple figure into four equal parts? Answer provided in this post. You have to find out in what shape the figure given above can be divided in to four equal parts! You might be looking at this trying to picture dividing it into the usual shapes, triangle, rectangle, or even trapezoids. You’re going to kick yourself when you see the solution, so don’t give up quite yet! 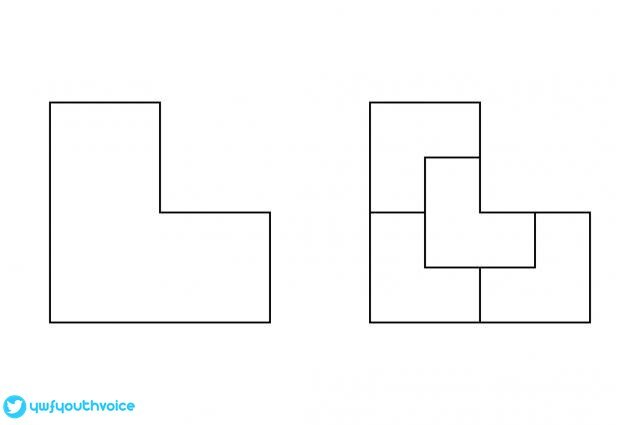 Youth Voice: Can you divide this figure into 4 equal parts?